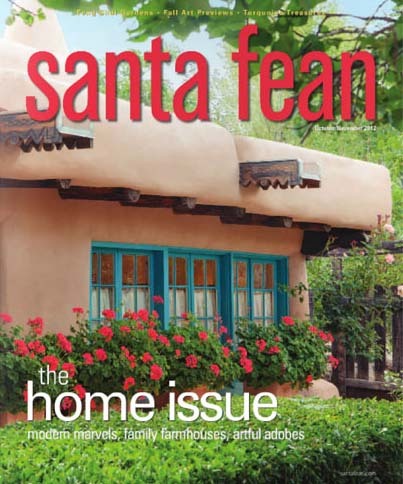 Martha Rea Baker was recently featured in the October/November Home issue of the Santa Fean Magazine. Martha and Bill Baker’s three sons collaborated on the design of their home in The Art Barns at Old Road Ranch near Santa Fe, NM. Architects, William and Mark, conceived the modern take on the Northern New Mexico pitched roof farm-house, while Dave fabricated and installed the steel railing on the sunset deck. 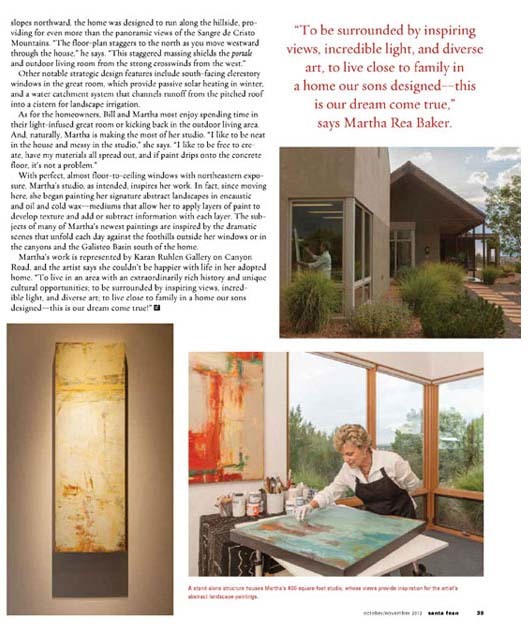 The last page of the three-page article shows Martha working in her studio and mentions how this personal environment, designed by her sons, has inspired her art.